As of Tuesday July 10, there are 14 fires burning over 191,000 acres in Colorado. Over half of that is from a single, human-caused fire. At least one other fire was caused by humans (with 6 more having unknown or under-investigation statuses). There have been at least 130 homes/structures destroyed by these fires. 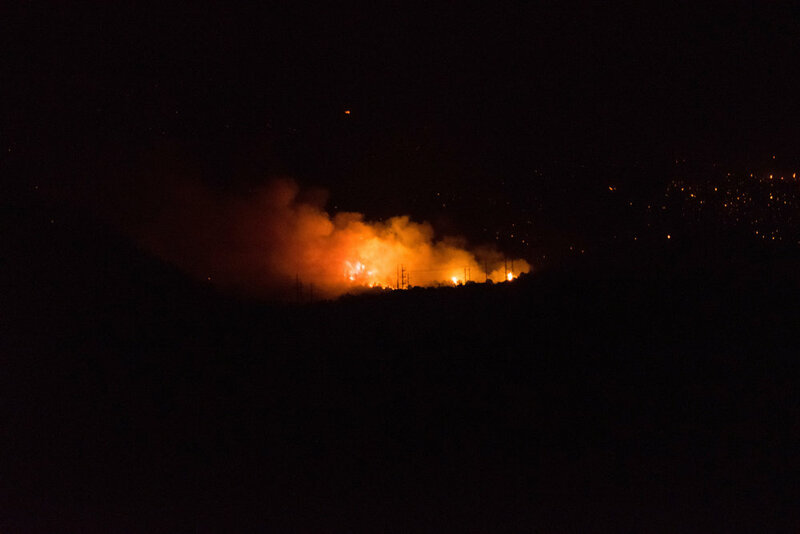 The Lake Christine Fire as it burns towards the El Jebel neighborhood on the night of July 4th. There's no doubt about it... Colorado is on fire . Wildfires happen every year, and are both a part of the natural life cycle and can be good for the environment, but this is shaping up to be a pretty crazy fire season. We had a shockingly low snow year, followed by little to no rain in the spring. Much of Colorado is currently in a drought, and the state already has such low humidity that it's making the “perfect” recipe for an insane fire year. More than 4 out of every 5 fire is started by humans, whether by arson or by just plain carelessness 1 . The Spring Creek fire is currently burning 107,967 acres of land…this fire is believed to have been sparked by a man who built a fire outside to cook dinner, and then went to bed without ensuring that it was totally put out. The Lake Christine fire is currently burning 6,345 acres and was started by two people shooting tracer rounds. 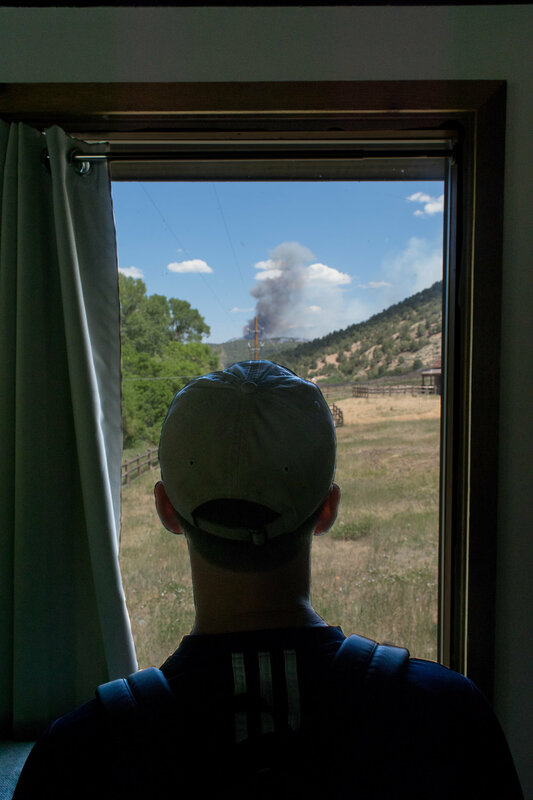 Both of these fires (the first of which is set to be at least the second largest wildfire in Colorado history…) could have been avoided if people had just followed the restrictions or used common sense. After watching the Lake Christine Fire burn over 2,000 acres in a matter of hours, I felt like I needed to use my platforms to speak about what fire restrictions are and why they're so important to follow. So below, you'll find detailed explanations of fire restrictions, as well as tips for how you can mitigate the fire risk from your activities. Fire Restrictions: What Do They Mean? There are two fire restriction stages in Colorado: Stage I and Stage II. There is one closure stage: Stage III 2. A plan laying down slurry to protect the power lines and highway 82. “Building, maintaining, attending, or using a fire or campfire except within a developed recreation site or improved site. “Building, maintaining, attending, or using a fire or campfire. Operating a chainsaw or other equipment powered by an internal combustion engine between 1:00pm and 1:00am. Operating or using any internal or external combustion engine without a spark arresting device properly installed, maintained and in effective working order. Welding, or operating an acetylene or other torch with open flame. “Persons with a written fire entry and activity permit. Fire restrictions are put into place to protect people, animals, structures, and the environment, not to ruin your camping trip. They are not a suggestion, the acts outlined are prohibited when restrictions are in place. Before you travel or adventure somewhere, look up what the current fire danger is for that area and whether or not there are any restrictions in place. The Colorado Division of Fire Prevention and Control has fantastic information on specific counties and their exact fire restriction status (located HERE). They also have an interactive fire ban map that you can view HERE. But, the best resource for fire danger information is calling the local county sheriff’s office. The county will know the most up-to-date information and can make sure you’re aware of road closures because of current fires. Plumes of smoke from the Lake Christine Fire on the afternoon of July 4th. If campfires are allowed in your area, and you built one, you are responsible for extinguishing it entirely. Smokey Bear gives really thorough steps that are especially important to follow in Colorado’s low-humidity environment4. If you do not have water, stir dirt or sand into the embers with a shovel to bury the fire. With your shovel, scrape any remaining sticks and logs to remove any embers. Make sure that no embers are exposed and still smoldering. Continue adding water, dirt, or sand and stirring with a shovel until all material is cool. Ultimately, what it comes down to is common sense. Use your best judgement. If you can’t remember if an activity is restricted because of the fire bans, it’s probably best to not do that activity. You do not actually need a campfire to have a good time camping or fireworks to celebrate. Additionally, if you see someone with a fire (or doing one of the restricted activities), call to report it! Just days after the Lake Christine Fire started, there were three illegal fires reported5. Please don’t set this great state of ours on fire! The flight crews worked tirelessly to put out flare ups. Watching the mountain burn from the living room.